Charming home with tons of updates and character on a gorgeous tree lined street. 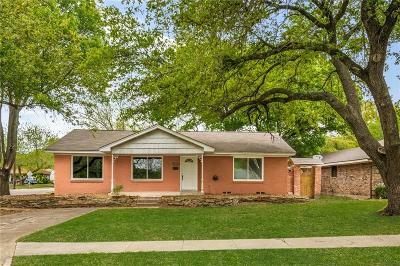 This home on a corner lot has so much to offer in McKinney. Beautiful nail down oak hardwood floors thru out the home really warm the space. Freshly painted with today's designer colors make this home a real showstopper. This open floor plan makes entertaining a breeze with a family room open to the kitchen and a separate den area. Other great updates include electrical, roof and windows. Hurry!!! Agents we are in a multi offer situation. Sellers have requested best and final offers by Monday at 5:00 PM. Thank you!